FOR LIFTING JOBS BOTH BIG AND SMALL, WE’VE GOT THE EQUIPMENT AND EXPERTISE TO HELP YOU GET IT DONE RIGHT. WE HAVE A VARIETY OF SALES AND RENTAL OPTIONS AVAILABLE TO SUIT YOU – HOURLY, DAILY, WEEKLY AND MONTHLY RENTALS AVAILABLE WITH OR WITHOUT OPERATORS. 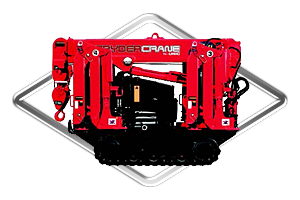 Mini-cranes are built to give you access to places you can’t get to with traditional cranes and pickers. Compact and easy to maneuver, mini-cranes allow you to get your lifting job done safely, more efficiently, and in less time. 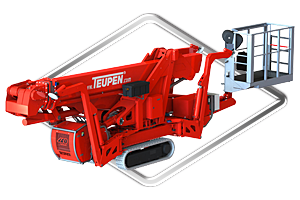 Lifting attachments allow you to customize your existing equipment (mini- or traditional cranes, forklifts, etc.) 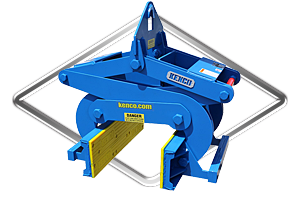 to efficiently and safely lift whatever materials you need. Virtually unlimited lifting uses: pipe, glass, metal sheets, insulated wall and roof panels, rocks, monuments, slabs, barriers, etc. Compact track man-lifts are designed to solve height access challenges. A faster, safer and more economical alternative to scaffolding, compact man-lifts are easier to set up and have greater maneuverability, saving you countless hours.